One of my favorite snorkeling spots in Hawaii is Honaunau Bay on the Big Island. I remember the first time that I saw the locals row their outrigger canoes along the horizon as the sun was setting and experienced an overwhelming sense of antiquity. I imagined what it must have been like when the first Polynesians made their way to Hawaii under the harshest of conditions. The first time I saw a group of people rowing their outrigger canoes on Donner Lake it reminded of my visits to the Big Island. 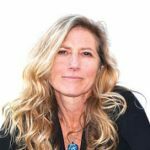 Daphne Hougard founded the Kawaiulu O’ Tahoe Outrigger Canoe Club in 2001 while having a passionate love affair with paddling. Kawaiulu O’ Tahoe means spirit of the water of Lake Tahoe. 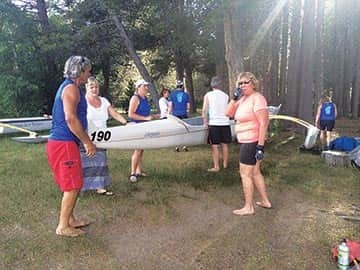 The club started with one race canoe and grew from there. The organization has became a nonprofit and a member of the Northern California Outrigger Association. 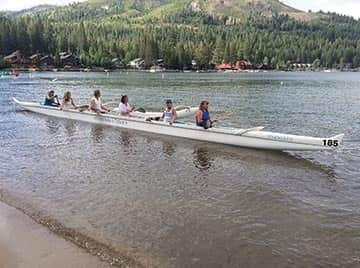 The club has three sites in Tahoe – Donner Lake where they have three outrigger canoes, Carnelian Bay at Waterman’s Landing that hosts two outriggers, and South Shore, which has one boat. I was invited to try my hand at the sport. I met with Bev Kennedy, education coordinator for the organization and a long time member. 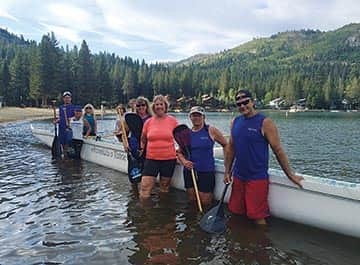 We sat on a bench at the West End of Donner Lake where Bev offered me a bit of the club’s history and her own experience falling in love with paddling. 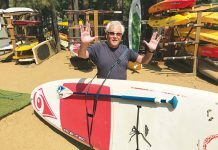 “I went to a class at the Truckee Recreation Center where Sharon Cross was offering classes on how to outrigger. There were five women in that class, almost nine years ago and we are all still members,” Bev said. “We instill respect for this time-honored Hawaiian tradition,” Bev explained. Many outriggers race canoes are still made from the Koa tree native to Hawaii. I was excited to experience my first outrigger canoe paddle. Bev carefully unfurled the covers to the canoes. The canoe is a six-man vessel and the person in the back of the boat steers while the person in the front seat of the canoe is the stroker and sets the pace for the rest of the boat, the person in the second seat matches the stroker’s pace while the person in the third seat calls out the command to alternate sides. The fourth seat is called the engine room and hosts the strongest paddler, while the person in the fifth seat is the steer person’s assistant. The key is everyone pulling at the same time. Sharon explained how to extend and reach forward with the paddle and pull back with each stroke, not from your shoulders but to bend at your hips and reach forward as far as you can and pull back to an upright position. Your power comes from pushing through your legs and into your hips. With each stroke, the canoe eased forward. I concentrated on matching my strokes to the gentleman in front of me. About every 15 strokes, Bev called out “hike, hut, ho ” and everyone switched their paddle to the other side. I could feel when the crew was paddling in synchronicity as the boat glided across the top of the water. I watched the second canoe cruising alongside of ours; they were all seasoned paddlers and their boat danced across Donner Lake. 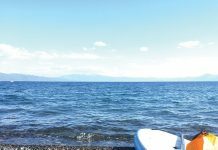 The Kawaiulu O’ Tahoe Outrigger Canoe Club participates in a number of races locally, as well as in the Bay Area. Members are welcome to join and race or be recreational members and just paddle for the love of paddling. They practice four to five times a week with the sunrise paddle at 5:45 a.m. and a sunset paddle at 5:30 p.m. The first two times are free, and if you love the sport, you can become a full member, which also includes a West End beach pass, and paddle to your hearts delight. The Outrigger Club also works with the Far West Organization and recently acquired an adaptive seat for one of its canoes. Consider getting your aloha spirit on and experience outrigger canoeing in the mountains.